Better throw more two-seamers, bro. We were supposed to like Jeremy Bonderman. He’s a local guy in that he was born in Washington State. He’s not really local to Seattle, and if you look at him he looks like he should be the guitar player for a really bad rockabilly band in some crappy city in Southern California, and if you hear him talk he sounds like he’s from a state below the Mason Dixon line, but still. We were supposed to like Jeremy Bonderman. He’s a comeback story, a guy that has overcome injury, and despite having amazing natural ability as a youth, has really overcome some amazing odds to pitch in the major leagues again. Bonderman has spent the past two summers at home rehabbing from consecutive offseasons that saw him undergo shoulder and elbow surgery. We were supposed to like Jeremy Bonderman. We though that perhaps he could dust off the formerly shiny prospect status he had during the tumultuous beginning to his career, when he was drafted without graduating high school to a Billy-Beane-run Oakland A’s team that would go on to publish a book lamenting the pick. He pitched on a Detroit Tigers team that was one of the worst in the history of baseball in 2003, taking credit for 19 of the team’s 119 losses. We wanted Chris Carpenter. We wanted R.A. Dickey (again). We wanted Colby Lewis. 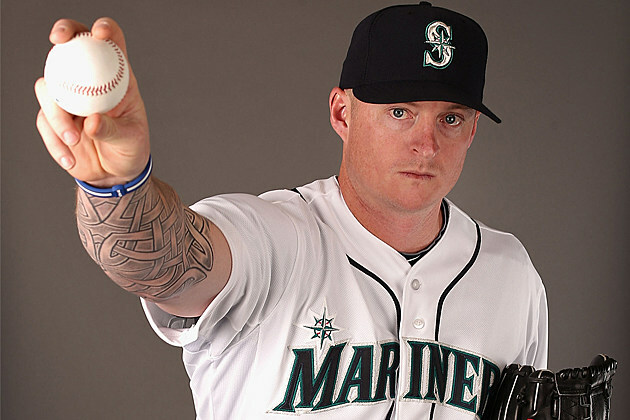 Jeremy Bonderman isn’t good, and eventually that’s what it all comes down to. He’s never really been good for very long. His best season came in the form of a 5.9 WAR, Age 23, 2006 season that saw Bonderman’s Detroit Tigers make it to the World Series. As Bonderman’s velocity has declined, so have his strikeout rate, ground ball rate, and his overall production. A one-two punch that included an also-Age-23 Justin Verlander (and an Age 41 Kenny Rogers) was expected to dominate for the better part of the next decade. Notably, the roster also included such names as Joel Zumaya and Andrew Miller. So Bonderman is at a place where most of even the best pitchers find themselves: unemployed with an ostensible desire to continue playing. As is the case for many nearly-done pitchers, Bonderman’s employment prospects look pretty grim. This offseason he signed on with his home-state team, a team that had huge rotation issues, and it took a June 1 opt-out clause for that team to give him the opportunity to crack the rotation. Barely a month later, Bonderman’s string of good results with a really terrible process have caught up to him. He outpaced my ability to put aside enough free time to write about how he should be dropped from the rotation, regardless of results, when just about anyone else is ready to start. Bonderman has gone from a guy that missed a lot of bats and induced a lot of grounders in a time when less guys hit grounders and less guys swung and missed, to a guy playing in an environment that has made both grounders and missed bats easier to accumulate, and he’s done both poorly. He’s done so while actually having relatively good home run luck, perhaps masking just how replaceable he really is. Jeremy Bonderman isn’t good. And he’s not really a Mariner any more because the team DFA’d him on Monday (unless he accepts an assignment to Triple-A). Jeremy Bonderman may have pitched his last game as a big leaguer, and that’s kind of sad – at least on a scale where being a long-time big leaguer and retiring as a 30 year old millionaire without a high school diploma is sad. For their part, the Mariners have recalled Lucas Luetge. Luetge is not a starting pitcher, as you well know, and he’s probably only a place holder for Erasmo Ramirez until the rotation spot formerly held by Bonderman comes around again on Thursday. Getting rid of Bonderman has to help. I don’t get why they have not announced who they are calling up to replace him in the rotation. Erasmo is certainly the most logical choice. Walker is probably running the best current hot streak but I can’t believe they would rob the cradle again. That would set the cat among the pigeons for sure. Despite his rough first outing, I liked what Ramirez did last season. It would be really nice to not give up free wins at the back of the rotation!